It’s simple. Buy airplane tickets with the one company, receive “rewards” points. Everybody wins right? Wrong. The only winner here is the airline. 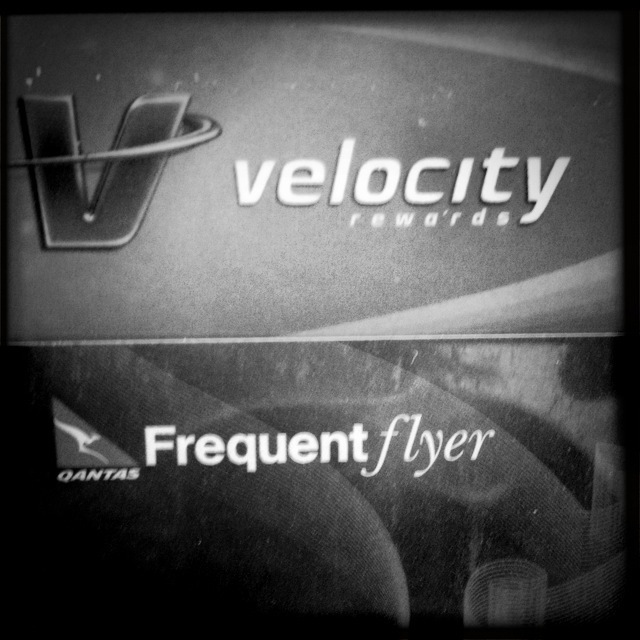 I don’t think there are many airlines in existence that do not offer loyalty points. Then it spreads out to offers of credit cards or store cards that transfer points to your airline loyalty account, and so on, and so on. You end up with more cards than you can fit into your wallet. If they are not in your wallet, how will you have them scanned when you do your shopping? It now becomes just another piece of plastic that sits in a drawer at home. Now lets get to the moment where you have managed to acquire enough points to either book a free trip or get some sort of discount. First, you start with a little dance of joy because you get to go on a holiday. You get online. Lets face it, even just the idea of being put on hold to a call centre increases your blood pressure to unbearable levels. You log into the rewards part of the airline website. Click on the relevant buttons to get to checking the availability of flights according to your points. There are seats available, YES!!!! Oh wait! One-way is completely affordable using your points. The return flight is triple the price. Even when you pay the difference, it is more expensive than the exact same flight with the competing airline (because you had to check). BUT you are a member of their loyalty program. Surely you are a valued customer and they will do anything to ensure your satisfaction. You get on the phone. Dial. Select prompts. Wait…. Wait… Wait…. Oh hello! What was I calling you about again? Oh that’s right. Explain the situation. The airline advises that they cannot offer you anything better than what is offered on their Internet site. But I am a loyal member, you plead. Then you get frustrated and advise them it is cheaper to go with the competition. They don’t care. You book a one-way ticket using one airline, and pay the full fare with the opposing airline because it is cheaper. Then you join their rewards program so that you get at least some benefit from flying with them! Now there are a whole range of new stores and companies who will transfer their rewards points to that membership. And the evil cycle continues…. If you are anything like me, you have enough points to receive good benefits. Unfortunately, those points are spread across competing companies. No rewards just yet. Must travel MORE! Get more points. Can you see it? Airlines are always the winner here. When something goes wrong, you still have to go through the same rigmarole as every other customer, loyal or not. If you want to travel, it’s not going to come about by gaining points over time. It’s a matter of saving your pennies and working hard to get to where you want to go. Otherwise you may only get to do it once in a blue moon. The airlines aren’t loyal to you so find the best deals you can to make it happen, no matter which one might “reward” you. You can also be like me and remain “loyal” to whoever has the cheapest flights at the time, using numerous rewards cards. Eventually there will be some benefit, right? I have decided to not fly again less there is an emergency! Foot down! Frustrating, I shop sometimes. Only yesterday did I go to the supermarket the other day to buy eggs…alway always go to the same supermarket. I had a voucher for some eggs…they still looked too expensive! I asked for a discount but Mandy (the girl who works there) said no, I’m sorry but that is the marked discount price..not happy. Why can’t I get the eggs for cheaper. I am never shopping there again. Maybe if you had a loyalty card you would have gotten them cheaper?